I am having difficulty installing the September and October Windows Server 2008 R2 2018 Security Updates, KB4457145 and KB4462915. Every time I install the updates, one at a time, they install successfully. However, upon reboot, they revert changes and fail to complete the update. I have tried using the Windows Update application, downloading the updates directly from the MS Update Catalog and installing manually. I have also tried installing and booting into Safe Mode. Not sure what else to do. 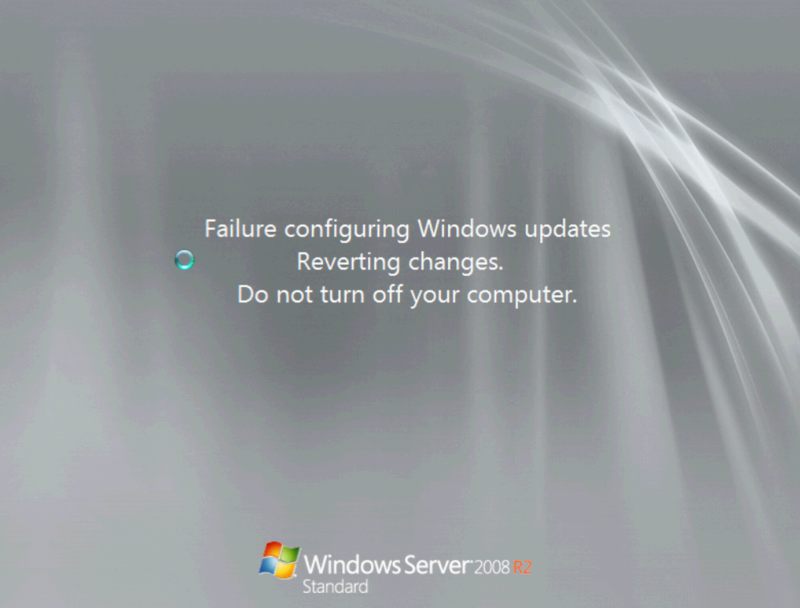 Browse other questions tagged windows-server-2008-r2 windows-update . Best way to fully update a new installed Windows?